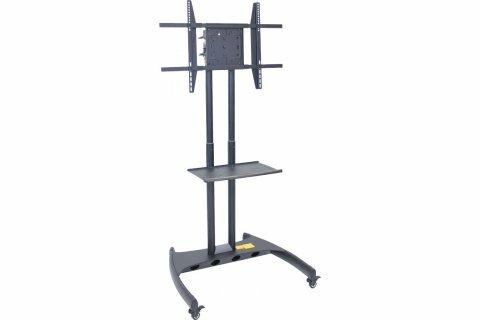 Whether you are screening a movie in class or a showing a training video to the new recruits, a flat panel TV cart will really come in handy. With lots of great features, it will make an excellent addition to your school or company. Cable-management holes on the top and bottom of the support pipes promote safety and convenience. They minimize protruding wires and make it easy to route cords to a power source or external hookup. 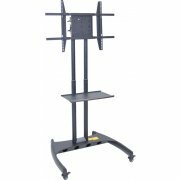 These flat panel TV carts are designed to fit your unique specifications. 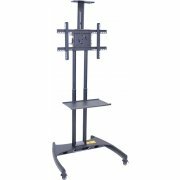 The vertical rails of the monitor mount adjust to support screens from 32-60". The seamless, powder-coated frame has an adjustable height. 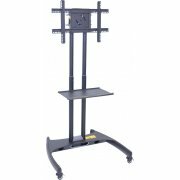 Locking brakes on all casters ensure that your flat screen TV cart will stay firmly in position no matter where you need it.